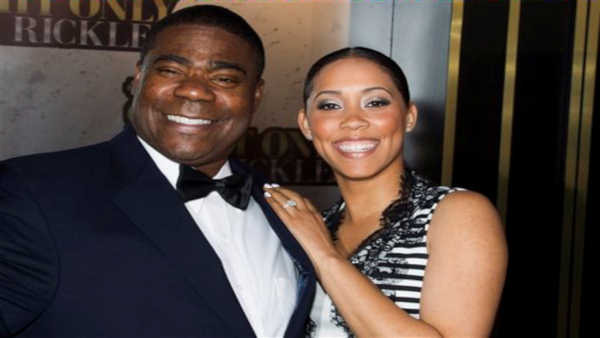 NEW YORK -- Tracy Morgan has married his fiancee of four years. Their 2-year-old daughter was in attendance. It is Morgan's second marriage. The ceremony came 14 months after the June 2014 crash that seriously injured Morgan and killed a fellow comedian when their limousine was struck by a Wal-Mart truck on the New Jersey Turnpike. The former "30 Rock" star has mostly been out of sight since the crash as he recuperated from his injuries. But NBC recently announced that on Oct. 17 he will guest host "Saturday Night Live," where he was a cast member from 1996-2003. Morgan's wife is quoted as saying, "after almost losing Tracy last year, I am so grateful to finally be married to the love of my life."